Let’s face it: no one thinks a natural disaster or emergency will ever happen to them. Because of this, few people are as prepared as they should be to react in such situations. Although any emergency is scary, you can avoid outright panic by preparing to protect your pet the best you can before it happens. Did you move last month and haven’t gotten around to updating your pet’s ID tag? Or does your pet take medication and you always wait until there are only a few pills left before you call in a refill? Under normal circumstances, waiting a bit to do those things may not be a huge deal. But, if you’re cutting it close and a disaster strikes, it could mean the difference between being able to keep your pet well, being reunited with your pet if you get separated, or not. Always have a collar with an updated tag on your pet — disasters don’t work on a schedule, they can happen at any time. Definitely update your pet’s ID tag right away when there is a change. Consider a digital pet ID tag that links to an online profile where you can update your contact information as needed (even when you are on the road with your pet). The online profile associated with PetHub’s ID tag can hold multiple phone numbers, medical data, dietary information, and more. These tags can easily be scanned by anyone with a smartphone, and there is a 24-hour found pet hotline to call for further assistance. So any Good Samaritan who finds your pet can help them get back to you safely & quickly. In addition, if you haven’t already, consider microchipping your pets. That way they can be easily identified and reunited with your family even if their external ID tags fall off or are damaged. If your pet needs medications, don’t wait until you’ve almost run out to refill the prescription. Always try to have at least 14 days worth on hand so your pet can still have their medicine even if veterinary clinics and pharmacies in the area close down. For your pet’s unforeseen needs, consider getting pet insurance. PetHub offers a great partner discount with PetPlan insurance to make sure your pets are always covered. If your pet is wearing a tag with the insurance company and policy number on it, the chance your pet will get immediate care should they be injured and then found by a Good Samaritan increases. Also, disasters can be costly to your family. Having pet insurance will greatly reduce any costs related to an illness or injury caused during the emergency situation. Just as you need to have an emergency plan for your family should a situation such as a flood, tornado, earthquake, or other natural disaster strike, you should also have a plan for your pet’s safety. Having a plan in place before disaster strikes is, without a doubt, one of the best ways you can help keep your pet safe. Fortunately, when a natural disaster occurs, pets often have a keener sense of danger, a better instinct for safety, than their human counterparts. For instance, before a flood or hurricane hits, many animals will seek higher ground long before their humans do. In case of a tornado, your dog or cat may be curled up inside the safest spot he or she can find. Having this keen sense means that your pet may go into hiding before you sense danger or right when it starts to happen. 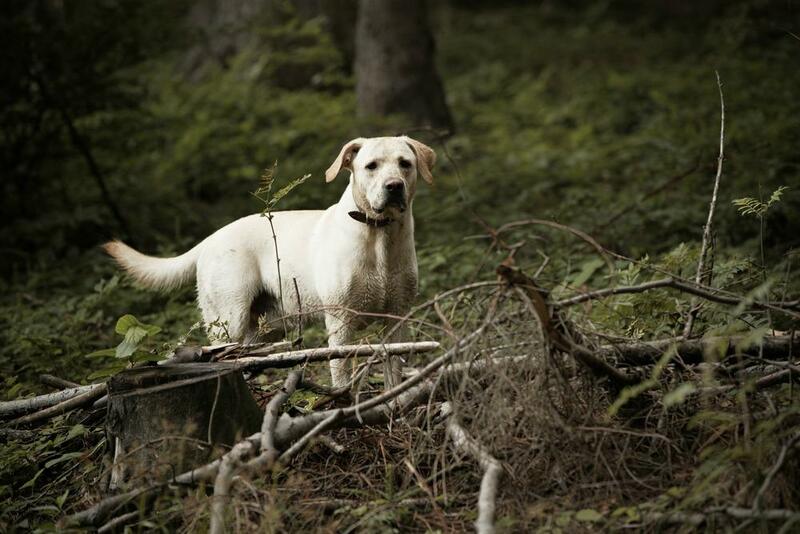 If you have to flee, authorities or circumstances may limit the amount of time you have to search for a missing pet so you’ll want to know the most common places your dog or cat may hide. Make sure to discuss where your pets are most likely to be found with other household members. Remembering to tell everyone this information, and getting them to retain it, in panic mode is a difficult challenge. The last thing you want when your pet goes missing is someone overlooking them. Scrambling to find contact information during a disaster or emergency is difficult and wastes precious time. Instead, write these numbers down and keep a copy where they can be easily accessed like taped to the fridge or in your emergency kit (or both). - A list of shelters and boarding facilities who can temporarily care for your pet. - Phone numbers for your pet’s regular vet and a 24-hour emergency clinic. - Pet insurance information like policy number and number to call for questions or claims. - A list of personal emergency contacts, preferably out of state so they are less likely to also be impacted by the emergency or natural disaster. When asked about their pet in an emergency or natural disaster, most owners will say they plan to bring their pet with them. Remember though, if you need to seek shelter, many local emergency shelters will accept you and your family, but not your pets. In that case, you will need to have a plan for where your pet will go instead or, if you are able and it’s safe, you will need to find emergency shelter for you and your family on your own. One way to prepare is to compile a list of pet friendly hotels in neighboring towns where you might be able to stay. You may also want to find out which businesses in neighboring towns would allow you to camp overnight in their parking lot. If you need to completely evacuate the area, the stress of taking your pets with you may be too much for everyone involved. For this reason, it’s important to identify places ahead of time where you may be able to board your pets in an emergency. Consider kennels, boarding facilities, or veterinarian’s offices or friends across town, and call them ahead to confirm they will accept your pet. Post their contact information somewhere visible to the whole family. In the event that an entire town needs to evacuate the area, the best course of action is typically to take your pets with you, and drop them off at the home of a friend or relative living outside of the danger zone. When you’re devising your plan to cope with the worst-case scenario, and the countless "what ifs" that go along with making it through a natural disaster, don’t forget your pets. When an emergency or disaster strikes, you’ll want the things below to help keep your pet safe and healthy. Assemble them into a kit and leave it in a central location so it’s easy to find and take with you when you only have a short time to react. Have a first aid kit for dogs and cats easily accessible in case you have to tend to a sick or injured pet. Take a pet first aid class so you know how to properly care for your pet’s needs. At the very least, make sure you have a simple pet first aid guide or download a pet first aid app from American Red Cross for free. Keep a copy of your pet’s medical records accessible. Print them out and put them in a folder or upload them to an online profile for your pet connected to a high-tech collar like one powered by PetHub. Pre-draft and sign a letter giving someone else permission to seek medical treatment for your pet. That way you can send it with a your pet if someone else has to take them to the vet for you. One way to do this is to call ahead to your own vet ask them if they have a premade form you can use (that may be sufficient for other veterinary clinics too). You can also make up your own using this example and this one. 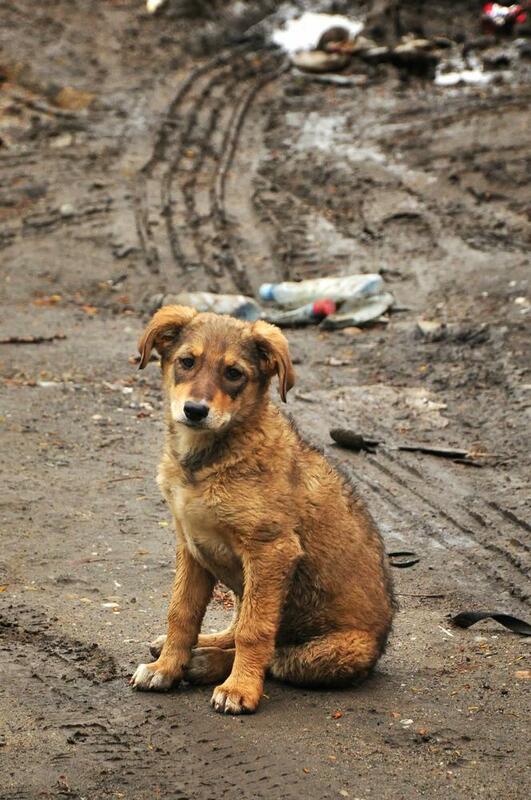 Pets are likely to become scared and disoriented in an emergency or disaster. Prevention is the key to keeping your pet from getting lost when things go wrong. Keep extra collars and leashes in your emergency kit in case frightened pets get out of the ones they’re wearing. One virtually mistake-proof way to make sure your pet doesn’t run off is to put them in a crate. Keep one in the house for each animal, and make sure your pet is trained to be comfortable in it, even if they don’t use it frequently. 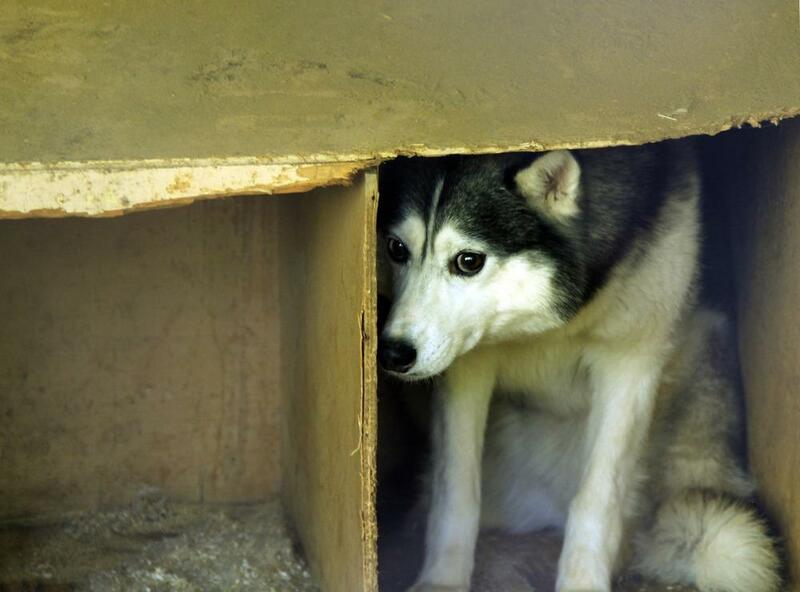 The other advantage of a crate, is that putting them in one away from the disaster area can help them feel calmer and safter. Sometimes, despite your best efforts, you and your pet may get separated during an emergency or disaster. In addition to a keeping an up-to-date ID tag, and getting them microchipped, keeping these things in your kit can help you recover your pet. 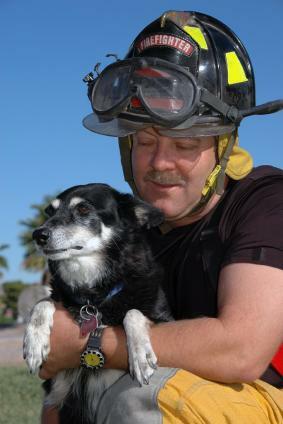 - Pictures of your pet to show to first responders and rescue workers, as well as neighbors. If they know what your pet looks like, they can help keep an eye out for them. - A PetHub® Crate Card™ you can attach to your pet’s crate in case your pet has to be rescued separately from you. That way, no matter where your pet is transported in it’s crate, someone can obtain your contact information without having to access your probably freaked-out pet’s collar. During an emergency, you may be trapped in your house for a few days due to ice, snow, or downed trees and power lines. Even if you’re not trapped in your house, local stores may be closed or out of supplies. Make sure to have enough extra supplies on hand to take care of your pet’s needs during this time. - Canned food for dogs and cats. Also be sure you have a manual can opener and plastic spoons to get the food out. - Potty supplies like poop bags, potty pads or a small litter box and a supply of cat litter. We always hope we can be there to provide the best care for our own pets but the truth is that isn’t always possible, especially in the case of an emergency or natural disaster. It’s very likely that you could be away from home at work or running errands when disaster strikes. Because roads can be damaged or neighborhoods shut off, you may not be able to get home to your pet. In most of those cases, emergency personnel will be sent in to rescue animals in the neighborhood. Remember though, in order to execute a safe and thorough rescue effort, it’s essential for the emergency responder to know who is in the house. Placing a rescue alert sticker on doors and key windows will let authorities know how many pets live in the home and what type(s) they are looking for. Putting your pet’s name on the sticker is good so rescuers can call your pet’s name while they are looking. Also, make sure your dog is trained to be comfortable in a crate. That is likely the first place an emergency rescuer will place your pet when they have been rescued. Your pet will be freaked out anyway but if they think of the crate as a safe place, they will be less stressed and more likely to settle. The calmer they are, the less likely they are to injure themselves or others trying to get out. 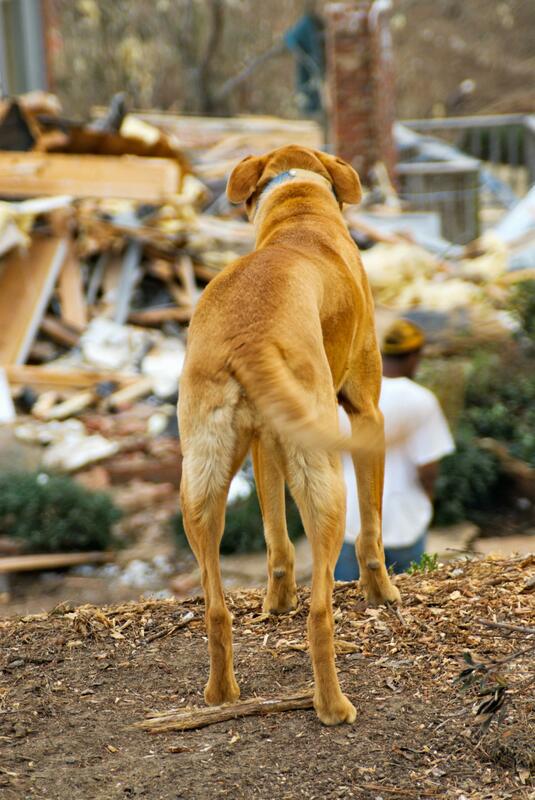 Having a plan and the proper supplies is key to keeping your furry family members safe through virtually any natural disaster.